We made a visit to Nås, situated about 23 kilometres west of Dala-Floda. Our first stop was at the arts and crafts association situated in very idyllic settings. We were greeted and shown around by Karin Sivertsson. She told us about the arts and crafts association, they still meet on Wednesdays and make handicrafts to sell in their shop. 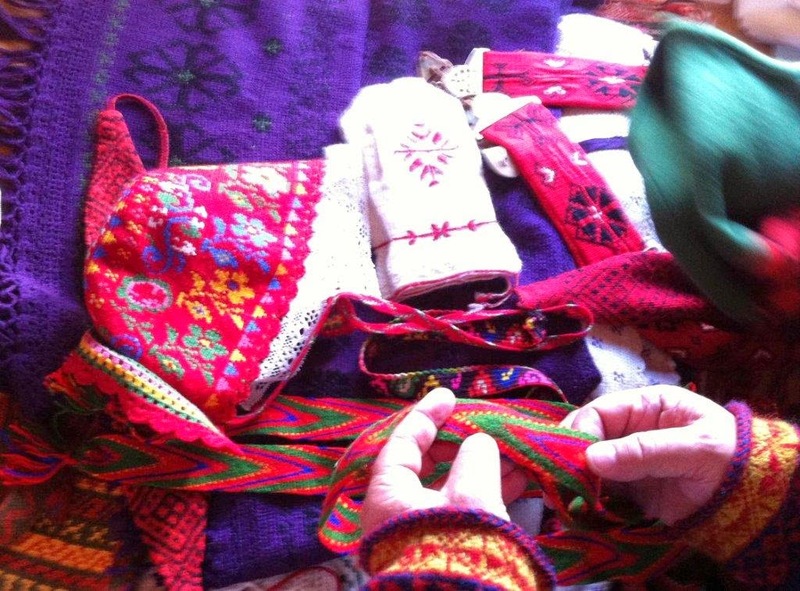 Nås is known for their skill in crochet and we saw many crocheted items such as shawls (Hjärtevärmare), hats, bands, mittens etc. We also met Gunnel Lindholm. 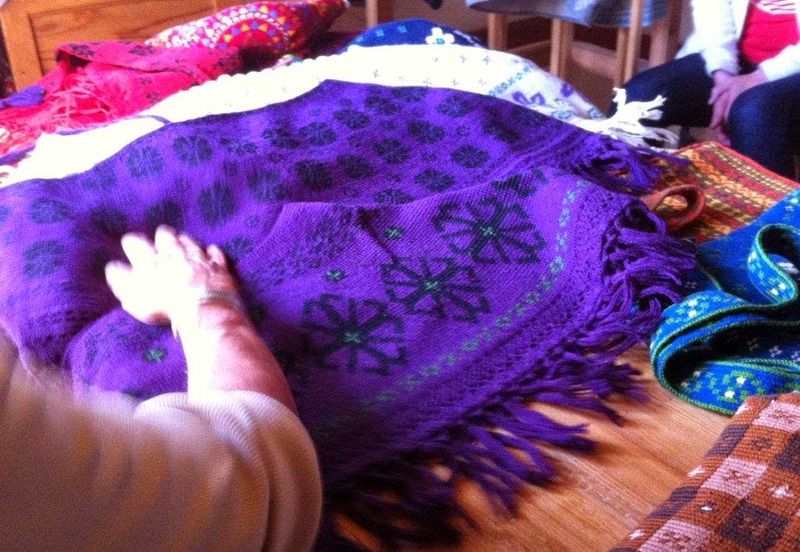 She has crocheted many of the shawls that we saw in Nås. She also weaves bands in traditional patterns. 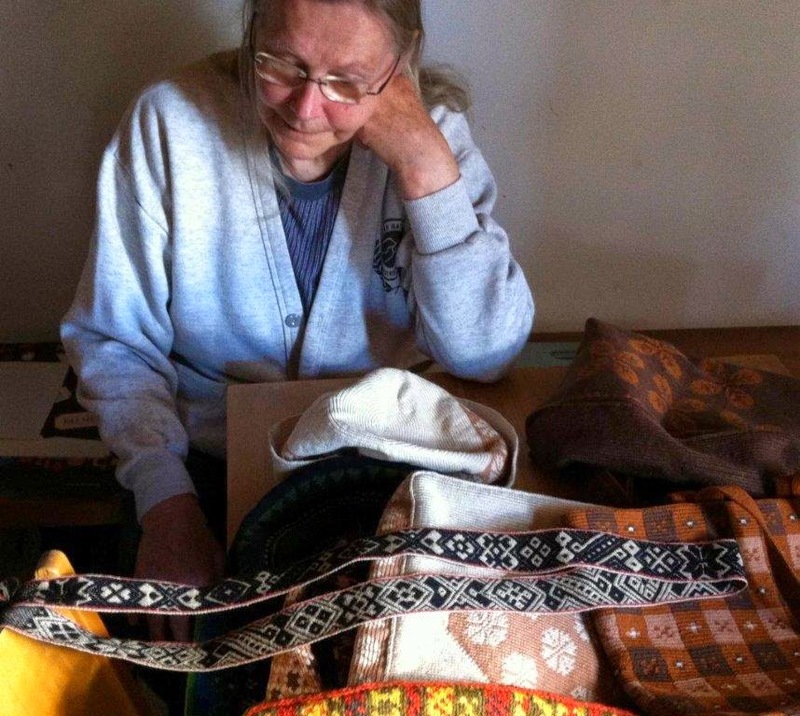 She was a quiet person but her handicraft was very impressive. Gunnel also makes "oroar". 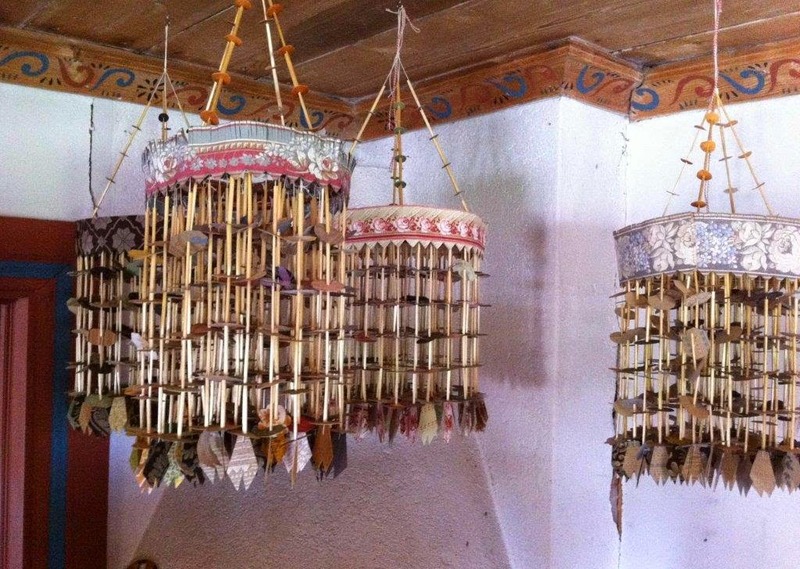 They are hanging decorations, made originally of bits of wall-paper and straw. Nowadays wall-paper has been replaced by other sorts of paper. They are rather impressive and I wouldn´t mind owning one, but they proved to hard to handle during travel. 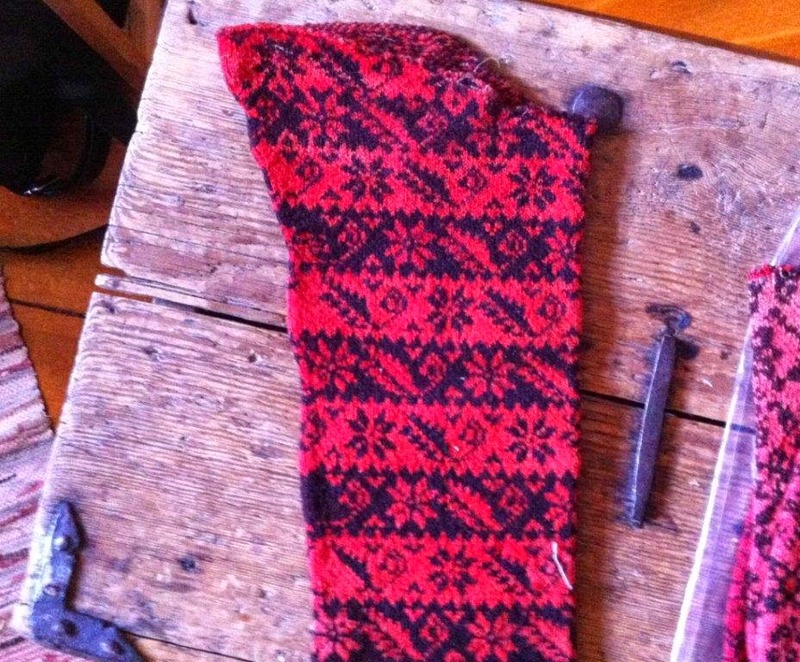 Twined knitting is a strong tradition in Nås. 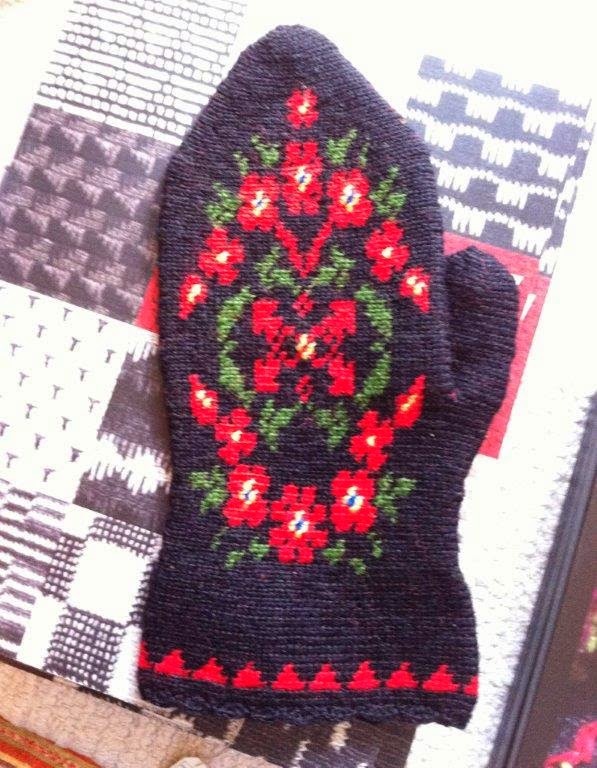 They have very interesting and, compared to Dala-Floda and Gagnef, different patterns on their sleeves. Truly beautiful. Red and black are the traditional colours. 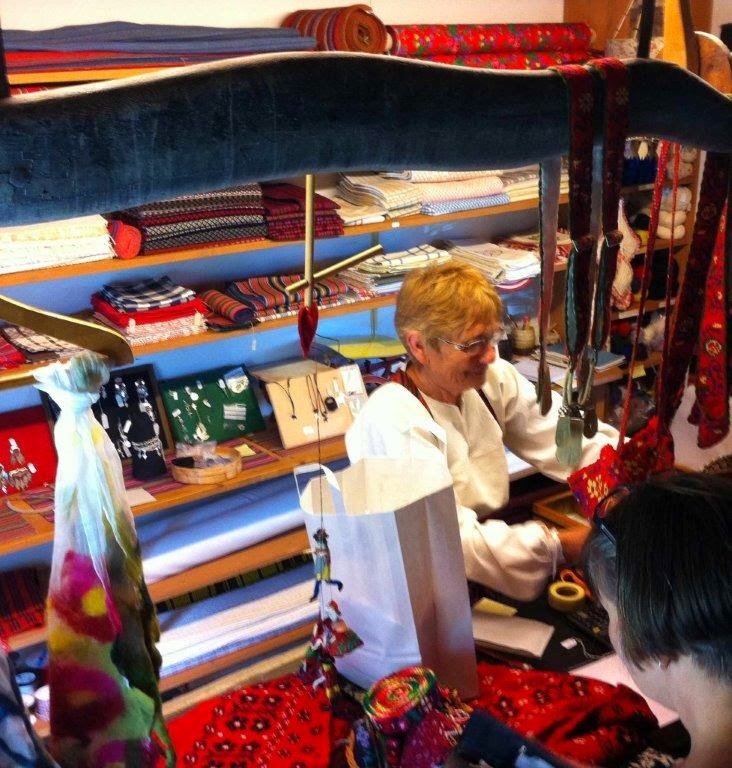 We also visited their shop, where a lot of handicraft was for sale. We bought a pattern for a crocheted shawl. I don´t know if I ever will attempt to make it, but I want to keep the opportunity open. 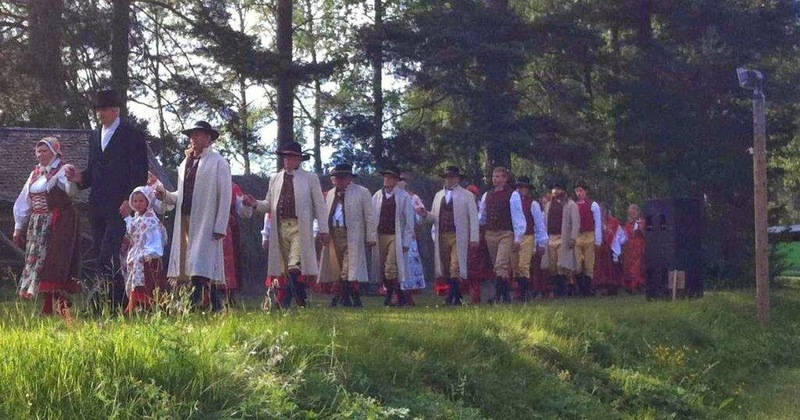 Before returning to Dala-Floda we saw a performance of "Ingmarsspelen". This play is performed outdoors. It is tradition and it has been performed since 1959. The play is based on the novel "Jerusalem" by Selma Lagerlöf. It is a famous story about 37 people from Nås who decided to sell their homes and farms in Nås and emigrate to Jerusalem. They were all influenced by a charismatic preacher named Hellgum. The story is centred on conflicts between the people whom in God´s name and forcefully urged by Hellgum sell their homes which have belonged to their families for generations, and their relatives and friends that find their behaviour hard to understand and a crime against the will of God to take care of and honour their land. 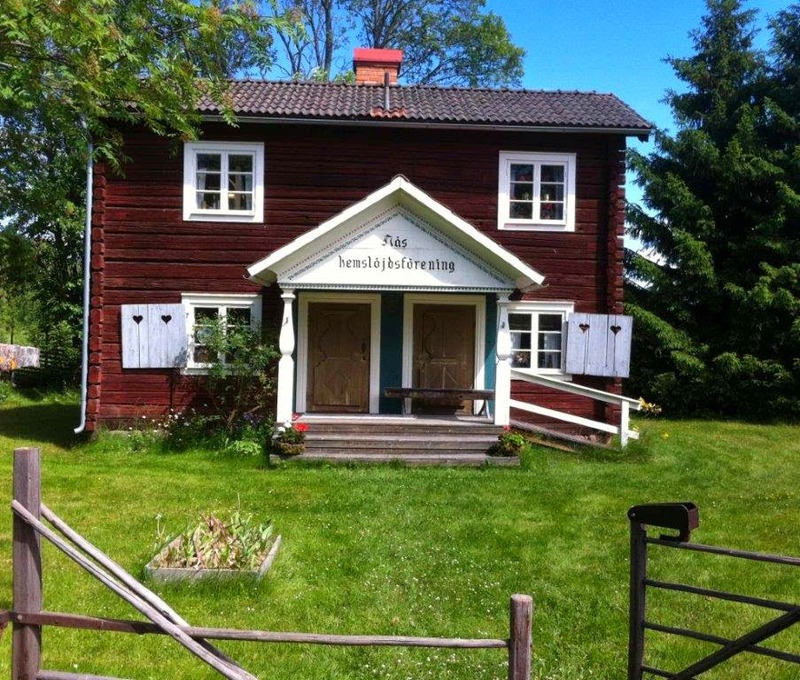 The story is based on real events in Nås in the late 1890´s. All actors wear traditional costumes. The costumes are the real thing, many of them a hundred years old and very beautiful. 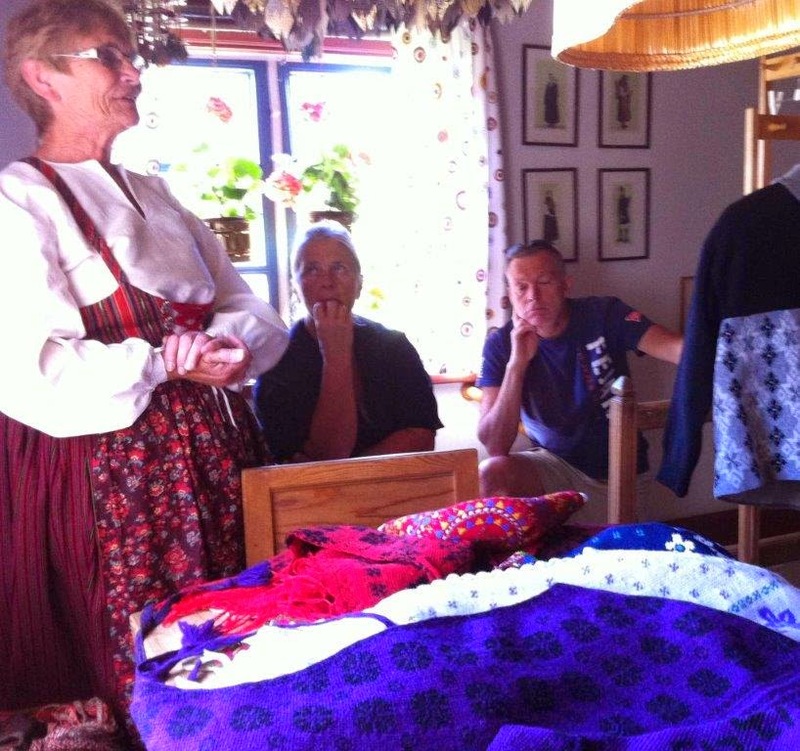 Some of the jackets that we saw at the arts and crafts association´s house had been used in the play until very recently but were now stored because they risked being damaged. Tack för alla inlägg och bilder.Denna kurs är så väl planerad och så innehållsrik.